If you've followed me on Twitter for a long while (and if you haven't then why not!? You can do so here) then you'd know how truly excited I was when the news that Made in Dagenham the Musical was coming to the West End was announced... and then when opening night hit... and then when I saw the show... and so on; I'd been so excited for this show to hit the West End because of how much I adore the original British movie and how the topics it touched on. So imagine my devastation on Friday when it was announced that the show would play its last performance this April after only five months on the West End: I was heartbroken. Not only because I might not be able to see this show any more than once more between now and closing, but also because the message and raw talent showcased in the show will never be seen by so many theatregoers and tourists alike. Though Made In Dagenham is set in the 1960s, many themes are still relevant to this day and I'm sure that's all the more reason why the creators of the show thought it would be a perfect time to put the story on stage. The show covers important topics like equal rights between men and women (and other feminist topics) as well as family struggles and friendships all through moving scenes performed by incredibly talented actors with incredibly catchy and well-written songs (check out the leading song from the show, "Everybody Out", here). It's a shame to think that the British public and tourists aren't filling the seats in this theatre and that the show has to move on. It's even more of a shame to realise that this may well be for a much bigger reason than people "just not fancying" this musical: perhaps the public just aren't ready to see such blatantly feminist shows. Shows like Legally Blonde were massive successes over here in London (Legally Blonde was actually more successful here than in New York!) and that's a musical that focuses around a woman moving in the right and feminist direction, but the marketing behind the show fails to portray that, unfortunately. Instead, the original London artwork depicts Elle Woods in bright pinks and everything truly girly which, even though it's not un-feminist, it doesn't confirm nor deny the feminist storyline of the show. The same goes for LB's tour artwork: it's Elle alongside Warner, which appears to promote a typical "chicklet" love story which, once again, doesn't actually seem to reveal the feminist identity that the show had. Does this "secret feminism" help Legally Blonde's success? Would it have been as successful had it been advertised as a much more feminist musical? And would Made in Dagenham have run for even longer had it been advertised as being a show that's a lot less feminist than it actually is? Just something to think about. Regardless, the show is indeed a very feminist story that is totally appropriate and relevant to the battles that women (and men alike) are fighting today, and the fact that a team have decided to put a show like this on the London stage is something that I personally think is both brave and a very inspiring thing to do. So, whether you're going to check out the political message they're making or if you're simply going to enjoy a fantastic night of new British musical theatre then I beg of you, head over to Made in Dagenham at the Adelphi before it shutters in April. For a full review I did over on LondonTheatreDirect look no further than here, and I sure hope you enjoy yourselves if you do go and see the show. 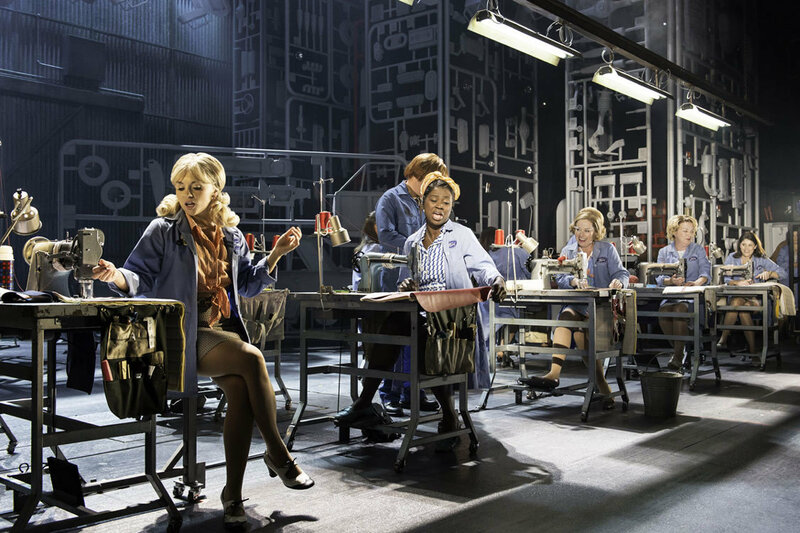 Happy trails, Made in Dagenham!